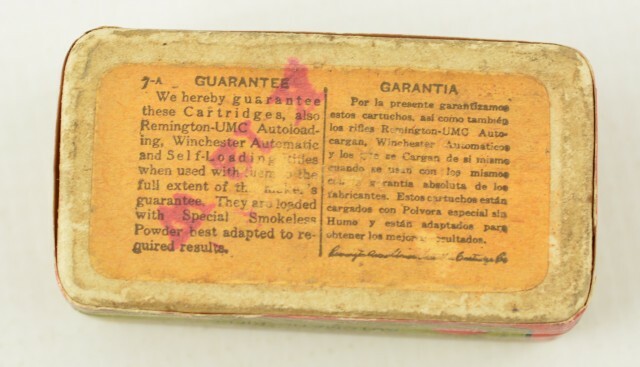 Description: Sealed Box of Rem/UMC 22 automatic rifle ammo built for the Winchester 1903 auto rifle. Full labels, cartridge on top. 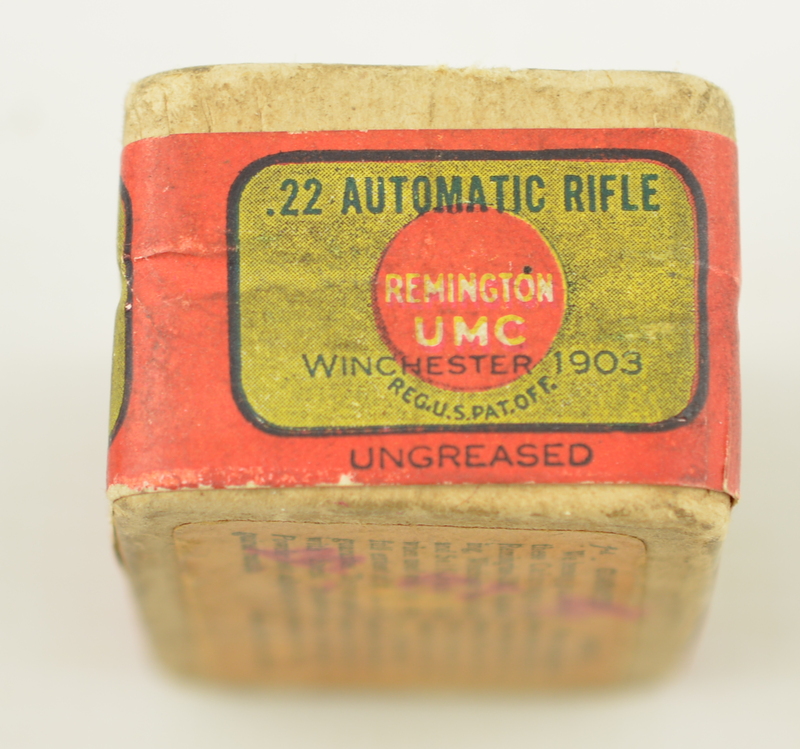 Buff paper is a little dark-Overall sound box of 50 rounds. 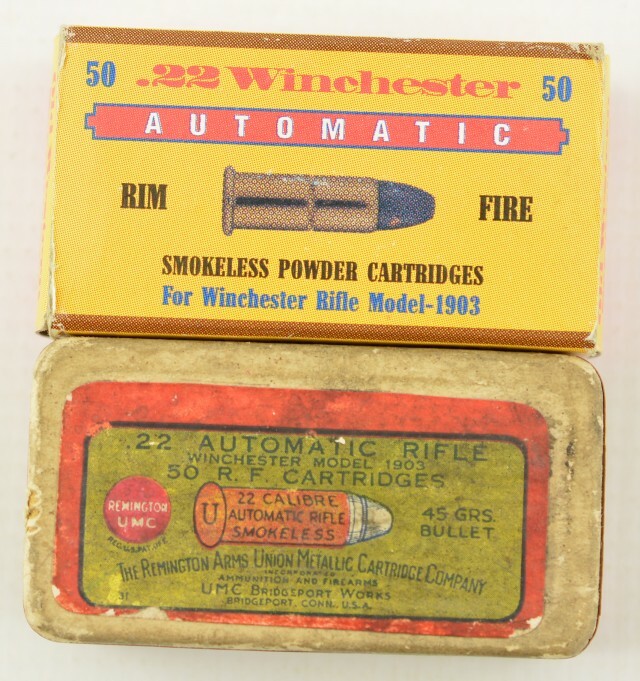 The second box is the now out of the stock 22 automatic built by old western scrounger.